After shelling out several hundred dollars a semester for books for my classes, it was always nice to get money back in my pocket when I sold them. If you have a stack of books collecting dust in a corner of your room, now is a great time to turn those into cash. 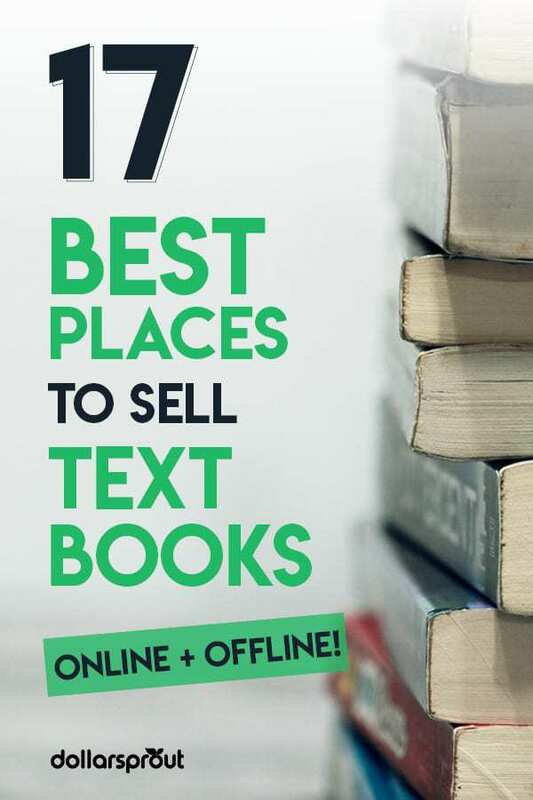 To help you get the most money back, we’ve put together this list of what we think are the best places to sell textbooks. Should You Sell Books Online or In Person? Where can I sell textbooks near me? There are many options to get money back for your textbooks, both online and in person. It really depends on what options you have locally to sell your books. On the plus side, selling your books locally means you’ll exchange your books immediately for dollar bills. However, you may not get the best price for your textbooks. On the other hand, selling books online requires that you’re a little more organized. In most cases, you’ll have to enter information from each book, such as the ISBN, and do some research on the best price for each one. You’ll have to print off the shipping label and follow the instructions for each website on how to mail them then wait for a few days and up to a few weeks for your payout. The best place to sell books is really the place that strikes the perfect balance for you between cash in your pocket and minimal hassle. That’s really an individual preference, so read on for the best options to sell back your books. If you’ve decided to look at some online options, below are the best places to sell textbooks. Make sure to check a few of these websites and compare prices to ensure you get a good deal. As you’ll see below, there’s no shortage of used book buyers! Decluttr is not just a place to sell used books online – they will also buy video games, CDs, textbooks, DVDs, gaming consoles, and even your old smartphone. They also offer a handy smartphone app that lets you scan the barcode using your device’s camera to make selling your items quicker and easier. The process to sell your items is simple: fill in the required information (or scan the barcode using the app), get an instant price, accept the price, pack your item(s), and use the free shipping label to mail it in. Once they receive and inspect your item, you will get paid the next day via direct deposit, PayPal, or check. Another great place to sell your used textbooks online is Bookbyte. Founded in 1999, its one of the longest running used textbook online businesses. It’s a great place to sell your used textbooks and also to find books for your next class. If you’re selling a textbook to Bookbyte, all you need is the title or ISBN to get an offer. If you’re happy with the price they quote you, click on “Continue Sale” button and complete the process. You’ll receive a shipping label so all you have to do is package and mail in your textbook for free. It can take anywhere from 4 to 14 days to receive the book and get paid. You can receive your payout via PayPal or a check. BookScouter prides itself on being the world’s largest textbook buyback price comparison tool. It works by helping you compare offers from more than 42 buyback vendors in a single search. They also have a mobile app that lets you quickly view vendors, vendor ratings, and buyback prices from the convenience of your smartphone. To get cash for books, you’ll need the ISBN number for the book or textbook you’re looking to sell. Compare the prices and seller feedback and decide if you’d like to sell your book. Once you accept the offer, you’ll get instructions on how to ship your book and get paid. Shipping is free. As far as payment, it depends on each vendor. Most will pay you within 1-3 business days of receiving and checking your shipment. The quickest way to get paid is via PayPal. If you’d like to receive a mailed check, prepare to wait an additional 3-7 days. Cash4Books offers a quick, easy, safe, and convenient way to sell used textbooks or books online. It takes just three easy steps to get cash back in your pocket. Just enter the ISBN for the book, ship it, and collect your payout. They even offer a free barcode scanner smartphone app to make the process faster and easier. On average, the payment is issued within 13 days from the day you mail the books. You may be able to get your payout faster depending on where you live and what shipping service you use. You can get paid via check or PayPal (they cover the PayPal fee, which is great). One of the advantages of BooksRun is that in addition to buying your used textbooks, you can also buy or rent textbooks from them. They also accept international editions, which are not widely accepted by buyback sites. Make sure to check out the conditions of book acceptance prior to sending in your book. The process is fairly quick. Once you enter your textbook’s ISBN and accept the price, you’ll be given a shipping label so you can mail in your book for free. Packages are usually processed within 2 to 5 business days, and payment is issued within 4 business days after processing. You will be paid via check or PayPal. 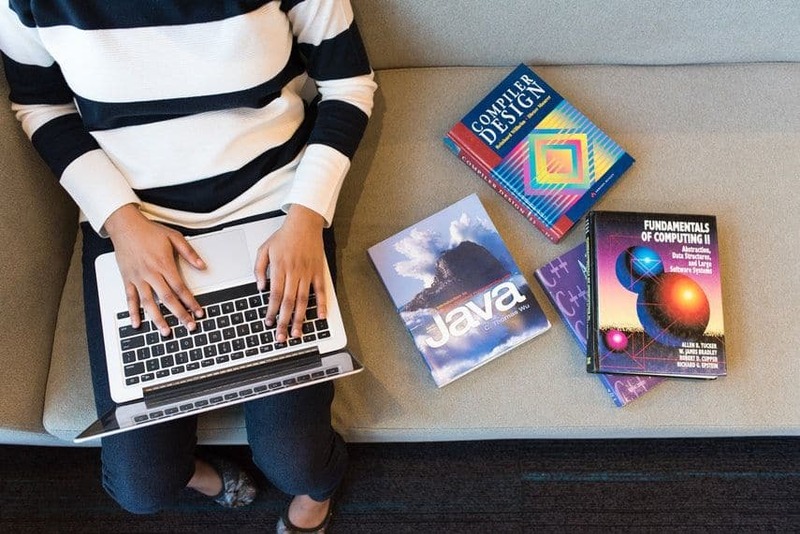 ValoreBooks operates on a marketplace model that connects you with hundreds of buyers looking to get a textbook. They also guarantee that if you find a better price somewhere else, they will match it. Like other sites that offer cash for textbooks, shipping is free with a prepaid shipping label. They also accept a wider range of books, not just textbooks. You can sell back other books such as novels, biographies, nonfiction, and more. They pay via check or PayPal. In addition, they also give you the option to rent or buy cheap textbooks from more than 18,000 verified sellers and rental providers who compete for the lowest prices so you’re sure to get a good deal. Amazon is a well-known platform for selling and buying new and used books. You can also rent textbooks from them. One of the cool things about Amazon is that you have the option to sell your books as a third-party listing if you don’t like the trade-in price they offer. 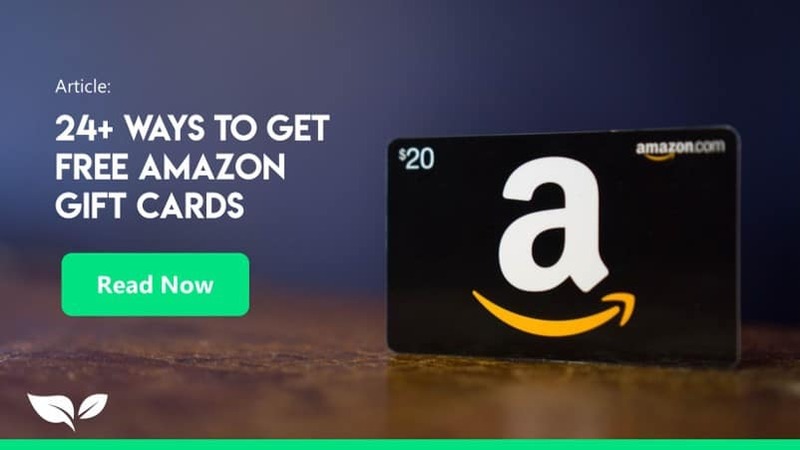 You can get paid in Amazon gift cards or cash. The Amazon textbook buyback program will pay you up to 80 percent of the purchase price. If you opt to sell the book yourself, keep in mind that Amazon will keep a commission from the sales price and you’re responsible for paying the shipping fees. Since 1997, BookFinder has helped connect buyers and sellers by searching the inventories of more than 100,000 booksellers worldwide. In addition to textbooks, you can find rare and out-of-print books. One thing to keep in mind is that the website is very dated. When you sell your textbook through BookFinder, bookstores compete to buy your books. You can see every offer and pick the best buyback price. Shipping costs are included so there are no hidden fees. To sell back your books, you’ll need the ISBN from the book’s back cover, barcode, or copyright page. You can use TextbookRush to buy, rent, or sell used textbooks. Once you enter the book’s ISBN, you will receive a quote, which is valid for seven days. If you decide to accept the offer, you will get a prepaid shipping label to send the book back to them. They offer three payment methods: cash, PayPal, and store credit. TextbookRush also has a buyback app to make the process easier. They also offer more than 600,000 ebook titles available to buy or rent, which makes them stand out from other buyback sites. In addition to textbooks, you can also sell used movies and games. Student2Student has a unique model that combines online and local buyback options. Once you enter the ISBN for your book, you’ll get buyback pricing for several online vendors. In addition, you’ll have the option to sell the book locally to another person. If you decide to sell locally, you’re in control of how much information you provide online. You can meet the buyer or seller right on campus to trade textbooks for cash. When you pick this option, the service is completely free. As one of the few websites that focuses exclusively on only buying back textbooks, TextbookBuyer claims they will offer among the highest possible price for your books. Similar to other places where you can sell used books online, they will require the ISBN number to give you a price quote. Shipping is included and, according to their site, payment is fast. All payments are issued in the form of a check and mailed after your shipments are processed and tallied. One thing to note is that if you are selling a textbook that comes with a CD, you must include it to receive the full price. You may be surprised to find out that Barnes & Noble will buy your used textbooks. Enter the book’s ISBN number to get a quote. You must have at least $10 worth of books to sell. Your order will ship via the U.S. Postal Service and, once received, you’ll get paid with either a check or PayPal. Craigslist may not be the first thing that comes to mind when you think about selling your textbooks online, but it can definitely be a good option. Especially if you live in a college town or near a university, this may be a quick and easy way to sell back your books for cash without worrying about shipping. If you decide to go this route, make sure to include as much information about the book as possible, such as the title, book edition, etc. Snapping a quick photo of the book and uploading it with the listing can help you sell it faster. Just like other online buyback sites, eCampus offers a simple model for getting cash for your used textbooks. Once you enter the book’s ISBN, you’ll get a quote. If you decide to accept their offer, you’ll get a prepaid shipping label to send your textbook. Get paid by PayPal, check, direct deposit or in-store credit. If you opt for the in-store credit, you’ll get a bonus. If you’re looking to sell used books online, you’ll need information from each book such as the ISBN, book title, author and publishing information. Not every website is going to require all of this information but it’s always good to have it handy to expedite the process. In most cases, selling books online is pretty straightforward: enter the information that the website requires, get back an offer, decide if you’d like to accept the offer and follow the steps outlined. You’ll need to print off a shipping label, package your book and follow the instructions on how to mail it. 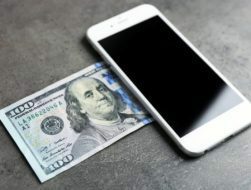 Each website has different guidelines for how they will pay you and how long it will take, so pay attention as to when you should expect your money. When it comes to getting cash for books, timing matters. Try to sell your books at the beginning of a new semester – during August and January. As you’d expect, demand for textbooks is higher at the beginning of a new semester. Even if you missed those windows, you can still try to sell your books online, you just may not get as good of a price. The beginning of a new semester means demand is up so you will likely get more money when you sell back your books. If you’re thinking, “That’s all great, but where can I sell my books in person?” fear not. We have some options for you. Below are several ideas for selling your textbooks locally so you can get cash in your hand quickly and easily. Believe or not, you can sell textbooks locally through garage sales or yard sales. If you live in a college town, it’s best to time those sales at the start of a new semester to have a better chance at selling your books at a good price. If this idea does not appeal to you, there are a few more options. 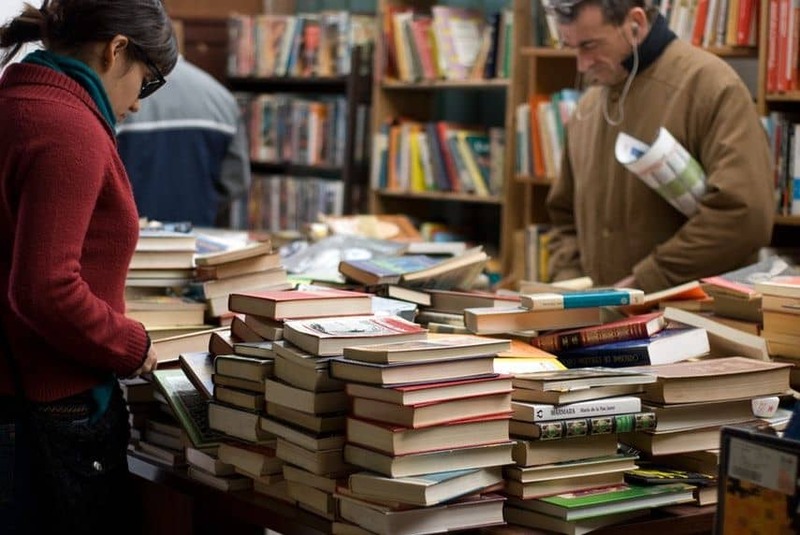 A great place to sell your used textbooks is second-hand bookshops that buy books. Make sure to call ahead and ask if they specifically buy textbooks and if there are any restrictions, such as no international editions or no teacher’s editions. With more than 120 stores in 17 states, Half Price Books is a great option for selling back used books, textbooks, CDs, DVDs, and more. You can bring your textbooks next time you go to a Half Price Books store and drop them off at the buyback counter along with some information. The staff will go through your books and price them out while you shop. You’ll get an offer on everything you bring in and, if you accept it, you can get cold, hard cash in your hand quickly and easily. It’s a pretty straightforward process, but keep in mind that you’re required to stay in the store while they review your textbooks and prepare your offer, so plan accordingly. For those who live in the Portland, Oregon area, Powell’s bookstores are a good option for selling your used textbooks in person. If you’re searching for where to sell antique books, bring those in as well. They will also buy back any rare, vintage, or out-of-print books. Payout options are store credit or PayPal. If you live outside this area, they also offer the option of selling your books online and cover the shipping. Another option for selling back your used textbooks are city and community libraries. Not all libraries will buy back your used books, but it never hurts to ask. Your likelihood of success is much greater if you live in an area with a large number of colleges and universities. Many colleges and universities have a bookstore on campus where you can buy and sell textbooks. Some high schools have this option as well, so make sure to research your local area schools. If you decide to sell back your books directly to high schools and colleges, you’ll need to bring all of them in person along with any accompanying materials such as CDs. Before you lug all of those very heavy textbooks to campus, give the store a call to find out what requirements they have for the conditions of the books you’re trying to sell. When it comes to getting cash for books, there are many different options, both online and in person. It’s up to you on how you would like to sell back your used textbooks. 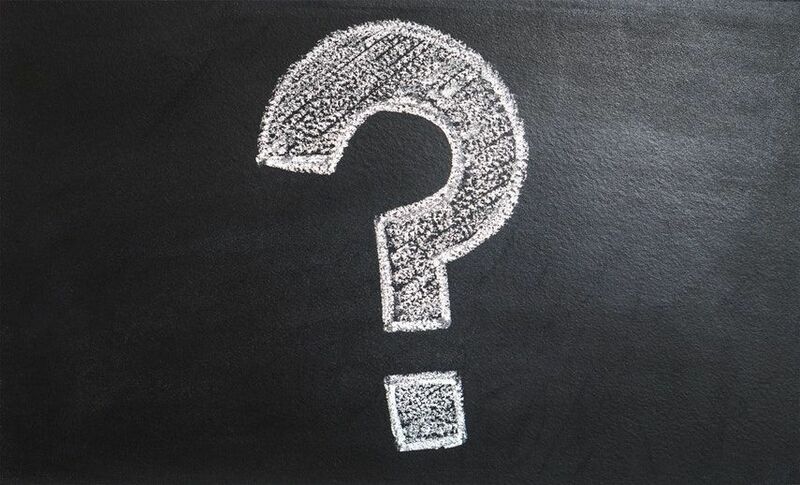 Some things to consider are the hassle factor of selling books online – you’ll have to print out a shipping label, package your books and drop them off at a shipping location. In addition, you may want to compare several different book buying websites to ensure you get the best price for your textbook. Some of the websites listed above act as price aggregators and allow you to get bids from hundreds of different buyers. Finally, if you’re looking for a quick way to get cash in your pocket without the hassle of packaging and shipping your books, consider going local. You can make money selling used books directly to other students or a local bookstore, and this is a good option if you want cash quickly in your pocket.